With the Wheel of Time, Robert Jordan set out to do something truly epic. Although he set out to write a six-book series, he would eventually write 11 books and a prequel before he passed away, with another author finishing the series’ last 3 installments. At the time of it’s arrival the series was extremely popular, becoming the second most successful fantasy series after Tolkien’s The Lord of the Rings trilogy. Now nearly 25 years later, after an onslaught of brilliant fantasy literature that constantly evolves, builds upon itself, with strong deviations from clichés and stereotypes, the first work of Robert Jordan’s long-winded series struggles to keep up. The first and most egregious err on Jordan’s behalf was his attempt to try and fix Tolkien. He attempted to beef it up with more factions, with more realistic scenarios. But the parallels between the Wheel of Time and the Lord of the Rings are truly astounding. If only his lack of understanding language didn’t show so clearly, this may have been a more manageable copy. It feels like he ripped off the entirety of the layout for The Fellowship of the Ring, switched the team dynamics (sans Boromir) and turned Gandalf, Pippin and Legolas into females. And that’s where Jordan’s greatest accomplishment lay, believe it or not. He does a really good job of making strong female characters. Actually, I’d say the majority of the novel’s most capable characters are women. In fact, females are far more receptive to the book’s magic system, known as the One Power. Moiraine Sedai is essentially the all-knowing, all-powerful wizard who leads the Hobbits out of Emond’s Field-ers out to Mount Doom The Eye of the World, in Mordor The Blight, and she ends up making plans to tutor some of the other gifted females in the group to use such an ability. The monarch is also a queen instead of a king, and her daughter the princess is also a very strong character. Stuff like this was very forward thinking for the turns that fantasy fiction would take in the years to follow. That said, despite enjoying myself very much throughout the book, not a lot happened. To be fair, the beginning 200 pages or so are important, as are the last 150. The other 500 pages in the middle? Fluff I had to sit through. Very poor character development. It seemed all the characters were good for was getting themselves in trouble and then out of it, only to find themselves in even graver (yet still no more perilous) danger than the last, in repeat succession. That’s not to say I didn’t enjoy the characters. But being such archetypal copies of Tolkien roles… There was very little for me to get out of them. Very little growth. This review is proving harder for me to continue writing as I literally have nothing to say about it’s ingenuity, creativity, or other. I enjoyed the romp. And perhaps the series gets better from here. But I was more than a little relieved to move on after I finished it. It’ll be a bit before I pick up the next. Or listen to it on Audible, as narrated by Michael Kramer and Kate Reading. The first book does not do this series any justice. It gets better as you go along especially whith the characters developing their powers and abilities. This book was recommended to me by the manager of a brick and mortar store nearby. I have read a great deal of science fiction/fantasy, and after a while, it all starts to feel the same. You know what I mean: how many times can we revisit Tolkein-esque charcaters like elves, dwarves, and orcs? I was very pleased to discover an entirely new world. Robert Jordan has created a landscape of magnificent proportions. Accents, legends, superstitions, politics…His amazing attention to detail allowed me to become fully immersed in the story. Even more surprising is that the quality of his writing is maintained throughout the book’s length of 782 pages. I couldn’t put this novel down, with the result that I finished it well inside of a week. This is the first book of a series, and the reviews for some of the later books aren’t as glowing. However, I feel that this book is a great read, and can stand on its own. It is not uncommon for series to degrade over time — take a look at “Wishsong of Shannara”by Terry Brooks, “The One Tree” by Stephen R. Donaldson, or “The Sorceress of Darshiva” by David Eddings. All three of these books fail to live up to the quality of others in their respective series, but that doesn’t mean you should avoid the series altogether. “Eye of the World” provides us with an epic that is also refreshingly new. Robert Jordan presents us with a world that is the most richly colorful since Tolkein. If you’re a fan of fantasy, then don’t miss reading this book. It’s very odd that I find this review the day after I made a post mentioning I’d be giving this a reread. I had similar Tolkienesque issues with the book, but I wanted to give it another try since it’s so beloved by so many in the fantasy community. Every other review I’ve seen does nothing but laud Jordan. I’m happy I’m not the only one who had such critiques. I feel that it’s a book that hasn’t aged particularly well, and is overbloated for the sake of itself. But it’s still a fun read. Maybe it was because it was one of the first fantasy series I read, but I remember it fondly. While he may not have been the best of writers, the plot was decent enough (and does improve significantly from the running an errand aspect that is the entirety of the first book). He is comparable to all but the top tier in world building – eventually. Which brings up my (and everybody’s primary criticism), the books meander on a level that I believe to be unparalleled. Books 2 through maybe 10 or so could easily have been condensed into 2. I’m sure that there are in total hundreds of pages of simply “and Nynaeve tugged her braid.” If only there were a way to skip the boring parts the series would definitely be recommendable. As it is, for someone who has read a large amount of fantasy there probably is not enough novel material to justify reading the entire series. I would second the Malazan recommendation. I would like to give adequate warning that it starts off in medias res to an insane degree. The world and its history exist on a scale unlike any other (I am well aware of how often this claim is made – in recent times most often by GoT readers who think themselves experts – I have read almost every major series (or at least the first novel thereof) and do not make the claim lightly) and Steven Erikson doesn’t explain how it works. All knowledge is revealed only in so far as it is plausible for a character to discuss or interact with it. There is not the “convenient” tutorial conversation or class of magic 101 that the genre typically relies on. Some people find this irritating, others refreshing. I would recommend at least checking out the first book. This method of world building is a main contributor to the fact that the series does not decline with each successive book gets better, which seems to be a rarity these days *cough* Blood Song *cough*. Sidenote: Your most anticipated books of __ article is by far the best around. Thanks for this! I’m glad you’ve enjoyed some of my posts. I have to give this series another chance, I know. I felt a little cold by it, but I feel like I could really get to know the characters and enjoy it. You bring up some interesting flaws though. Books two through ten have a lot of much-needed, and very interesting information. I beleive that the attitude you have while reading the books affects how the book seems to you. While it is somewhat repetitive as to the characters, all of these repititions are part of the traits of the characters. This is part of what makes Jordan such a great writer, he is able to maintain a steady image of the characters while they are also changing in ways that are necessary to the plot. While I do agree that some of the information is not needed, I also believe that it makes the story that much more complete and without these descriptions the series would be missing what give is the flare and alluring qualities that it has. 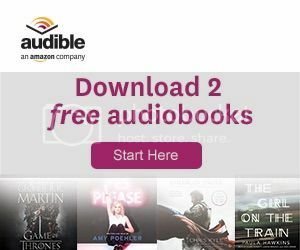 I listened to the first three books on Audible, and after that I gave up. The books just weren’t interesting to me. They are all long winded and drawn out. I also don’t feel like the characters really changed that much. Sure, they were different scenarios, but I felt the characters weren’t developing at all. The only difference between Rand in The Eye of the World and The Dragon Reborn is that he accepts who he is (and he barely does that). You’ll also realize that ALL the women are bull-headed and strong, and for the most part have pretty eyes and shapely bodies. Point is…I wasn’t impressed, and it doesn’t get any better. I’m sure there is some other epic book series to enjoy out there. But that’s just my two cents. I’m afraid that’s what I’ll come to expect as I continue the series. It’s one of those series you have to read as a newbie fantasy reader. Otherwise it pales in comparison to the stuff out these days. I’ll be sure to follow as you read the series. I’m curious as to how it ends, but not curious enough to actually finish it. It’s one of those series I won’t be too ashamed to spoil major happenings, so it should be interesting. Bless you, sir. I tried to read this book and just couldn’t do it. I may pick it up and try again one day, but not right now. Heck, it took me three tries to get started on The Dark Tower series, so maybe The Wheel of Time isn’t too far out of my reach. The Dark Tower is a toughy for me too. Hoping I can get through the Wheel of Time though. Thanks for the reblog. You probably shouldn’t even bother, the next book is basically the first but much less interesting. I liked WoT back when I started it, but I frankly hadn’t read much creative fantasy back then. In the end, it’s cons far outweigh it’s pros. As to strong female characters, in the first book it was nice, but by the 7th book it’s clear that with maybe three notable deviations at best, EVERY woman in the series is like that. Balls. I really wanted to like this series. Oh well. Have you tried Gardens of the Moon as yet? You’re going to love that one, I think. I haven’t. I’ll give it a shot though. It’s on my list. Still have a bunch of stuff ahead of it though.